All our pigs are locally sourced and reared in Clacton on sea, Essex, We supply only meat which is high quality. 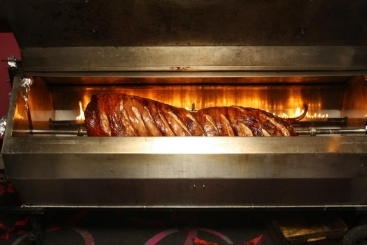 All our Hog roasts come with Stuffing, Apple Sauce and fresh Bread Rolls as standard. We bring our own marquee and even take our own rubbish away with us. 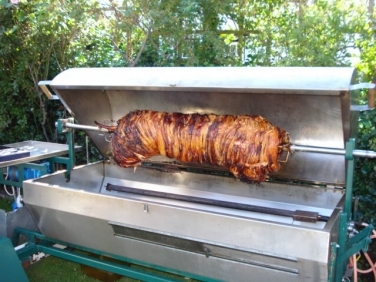 Here at 2 Hearts Catering we believe in good quality food and good service, We supply your Hog Roast cooked to perfection, We then carve the pig in front of your guests for the extra wow factor. Below is a suggested summer lunch menu with a guide price. We also can supply Lamb and Chicken Roasts as well as Jacket Potatoes or Roasts Potatoes.